Affordable color ink cartridges that work! 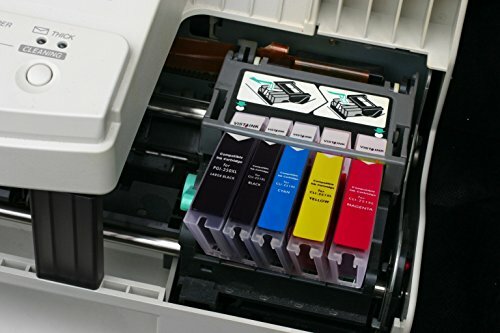 When you need a replacement for your empty printer ink cartridge, you will need to consider a few things if you want to get quality prints without spending more. 1. Is it worth getting the name-brand version of the ink cartridge? 2. What are my other options? 3. 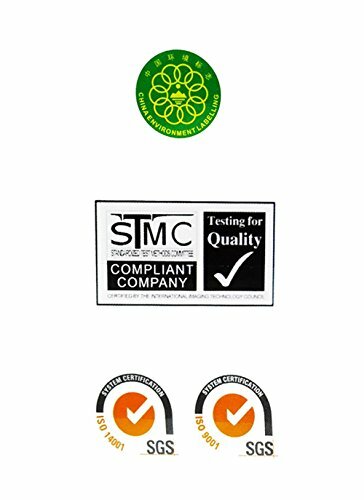 How can I be sure that I am getting a quality replacement? It's cost-efficient. 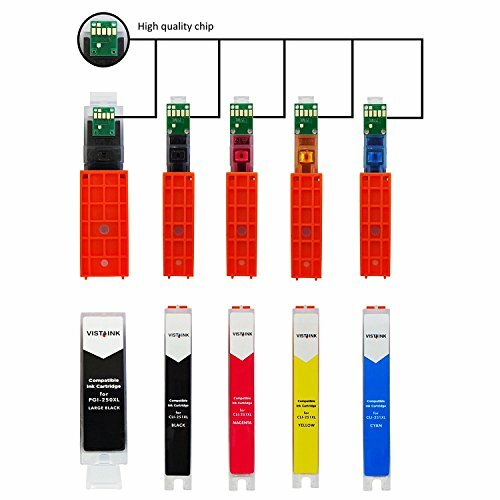 With the variety of packs you can choose from all at an affordable price, resorting to your expensive original cartridges becomes a thing of the past! Same, Exceptional Prints. Save money and get the same, high quality prints! Print sharp and defined documents with our exceptional ink cartridges. High Yield. Get as many vibrant printed documents as you do using costly OEM products and enjoy value for money! Easy-to-install cartridge. This compatible toner cartridge comes with a comprehensive, yet easy-to-follow instruction manual. Its no-fuss installation means you get to use it as soon as you need it. It fits and works perfectly with its compatible Canon printers. 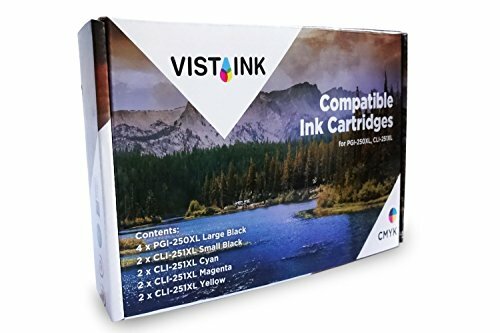 Enjoy quality, affordability, and variety with the Vista Ink Compatible Canon PGI-250XL CLI-251XL Ink Cartridges Value Pack. 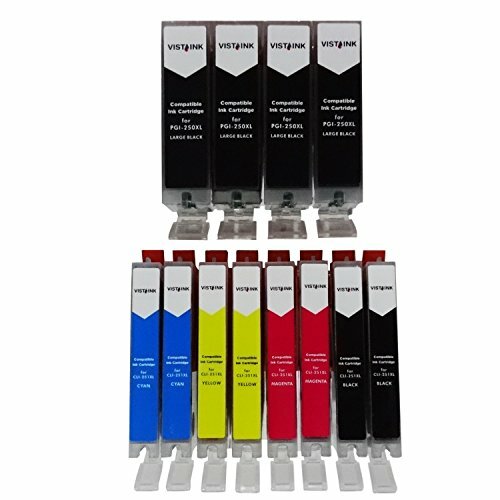 The ink cartridge pack come with a 2 year warranty to ensure optimum quality that lasts for a long time. Order now and take advantage of this great offer! 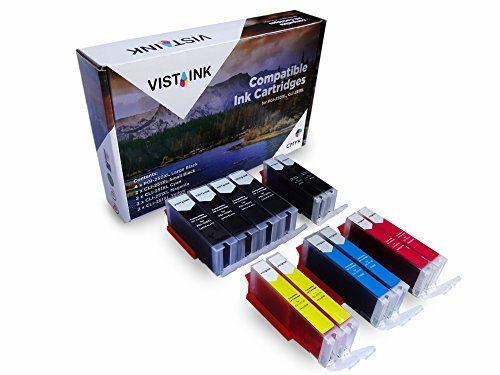 Disclaimer:The product in this listing is not an OEM product but a "compatible" cartridge pack duly manufactured by Vista Ink. Certain brand name may have been used to reference a product, but it should not be construed as the actual brand of the product advertised. If you have any questions about this product by Vista Ink, contact us by completing and submitting the form below. If you are looking for a specif part number, please include it with your message. AZ Supplies © Premium OEM Quality TN315 Cyan Toner Cartridge Professionally Remanufactured for Brother DCP-9055, DCP-9055CDN, HL-4150CDN, HL-4570CDW, HL-4570CDWT, MFC-9460CDN, MFC-9560CDW, MFC-9970CDW Cyan: 3,500 page yield.